One of my kids is a particularly deep thinker. You can’t answer any of his questions with a simple “Just because…” and similarly, if you ask him a question you rarely get a ‘yes’ or ‘no’ response – instead it’s a considered, thoughtful and often detailed answer. I’ve found I have to help channel all of this deep thinking, otherwise we’d be up late at night consumed by thoughts such as ‘Where does the universe end?’ (we’re still discussing that one) and ‘What happens to someone’s feelings when they die?’ (again, no small discussion there). I was thrilled to discover The Philosophy Club, a social enterprise that runs extra-curricular workshops for curious kids. 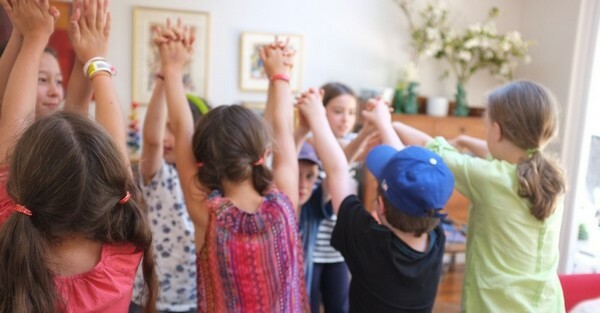 The club runs small group workshops where children have the opportunity to explore some of life’s big questions, with the aid of intriguing stories, pictures, games and crafts to fuel the discussion. Now that might sound a little heavy, but when you look at some of the questions that were raised in recent workshops – can germs think? Why do people prefer cake to celery? Is ‘goodness’ visible? Is it okay to lie to someone you don’t know very well? – you can see that topics are explored in a context children can relate to and are enthusiastic about. There are many benefits for children in participating in this kind of thinking. Apart from stretching their imaginations, tackling complex questions about meaning and values assists them in their everyday lives when making decisions between right and wrong, fair and unfair – valuable skills in a world crowded with advertising, rhetoric and ‘noise’. The Philosophy Club uses an internationally-proven method of ‘collaborative philosophical enquiry’ which doesn’t teach children what to think, but how to think. Importantly, the club does not impose any dogma or ideology but instead opens up fascinating fields of enquiry and helps children navigate their way through complex issues in an entertaining and age-appropriate way. 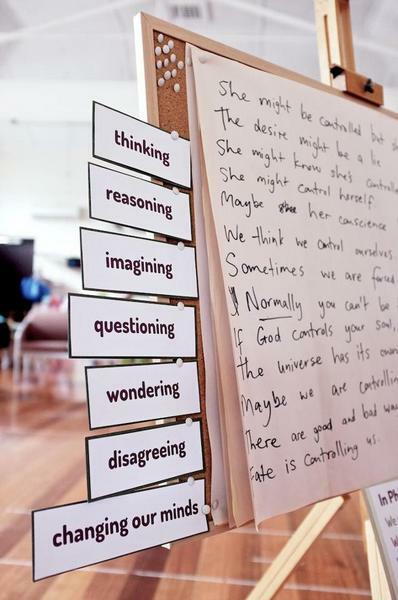 The Philosophy Club workshops are suitable for children aged seven to thirteen years. Workshops are run in both Melbourne and Sydney. For more information on upcoming workshop dates, contact The Philosophy Club directly.